We've moved! New Blog - www.nerdlybeautiful.com : Tea Party! 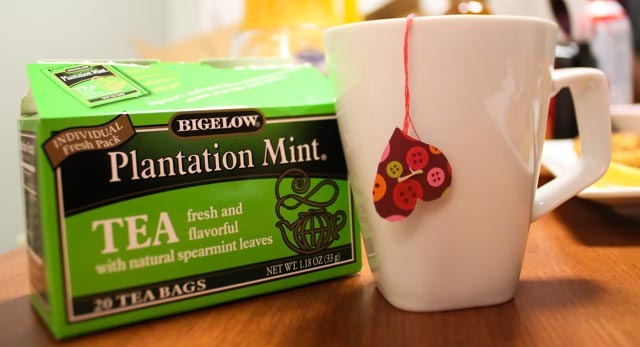 Besides mint, I enjoy other tea flavors - lemon, green tea, English breakfast etc. 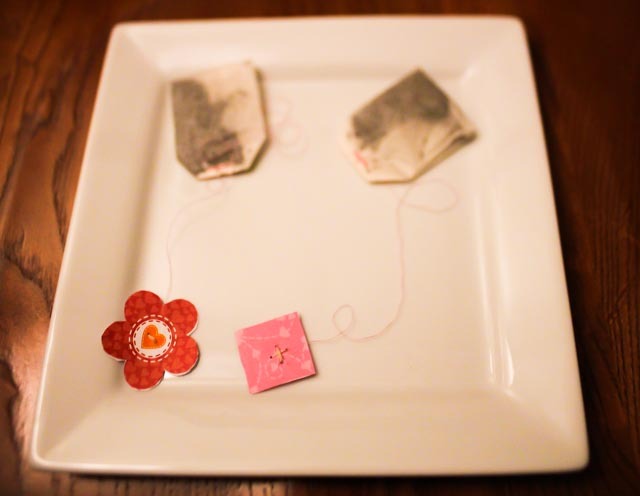 In order to make my teatime more sweet, I added hand made paper strings to the tea bags. 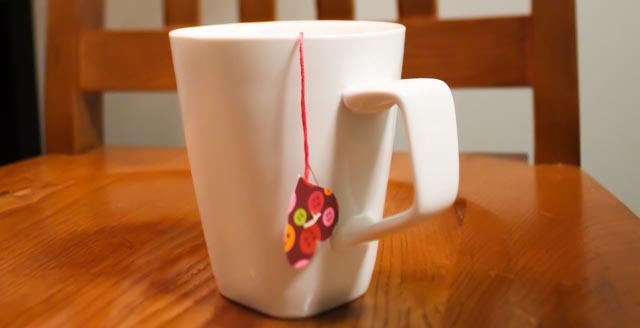 I pretty much just cut out decorative paper, glued them together using a glue stick, sewed them together (similar to how I sew in buttons) and attached them to the teabags using the same needle and thread. Not bad, right? I think this serves as a great idea for parties and weddings as well! If you have any recommendations on tea flavors, please let me know!